I promise not to bombard your inbox. You'll be the first to know when new blogs, articles and recipes are posted. There will be an occasional announcement, but normally you'll hear from Cool Bean Living once a week. My Spring planner is printable. It will walk you through an overall spring cleaning, along with the thorough cleaning of individual rooms in your home. It even includes a guide to cleaning your garden and outdoor areas. This planner regularly sells for $7.99, and will be available here for just a short time. 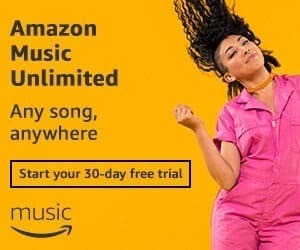 Leave your name and email address below to receive it at no cost. In the beauty industry that is always trying to sell us a product to prevent aging, I find it hypocritical that none of their marketing materials and campaigns focus on older women actually using the products. There are exceptions, I’m sure, but how many times have you seen an ad for a mascara that features a woman with thinning lashes to begin with? My guess is not many. Disclaimer: Please be aware that this blog post contains affiliate links and any purchases made through such links will result in a small commission for me (at no extra cost for you). I only recommend things that I personally use and value. I know my skin is very different than it once was. The makeup stylings from my 20’s just don’t look the same on my face any more. At one time, my eyebrows were so thick and full that I probably looked like I had a caterpillar crawling above my eyes. Now, however, my eyebrows have thinned out and I need a large (lighted) magnifying mirror just to see them. The eyelashes that were once so prominent on their own, without any cosmetic assistance, now can hardly be seen even after several coats of mascara. And don’t even get me started on the big number 11 that’s carved right above my nose, which no doubt comes from all the squinting I do trying to read – even with my reading glasses on. The lines of my forehead are happy to hold my creased foundation. Ugh, I’m a mess and I need help! If that sounds like you, don’t despair! Help is on the way. 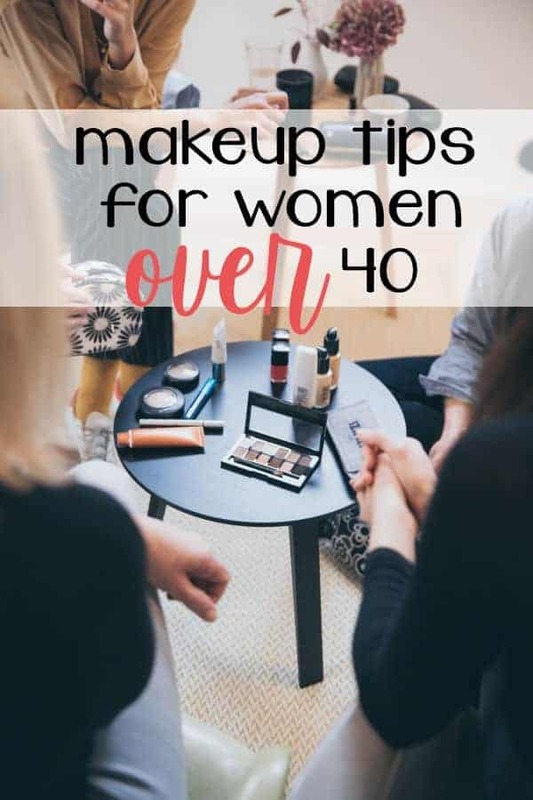 I’ve compiled some targeted tips to help address the makeup issues that women over 40 face. 1. Primer – The purpose of primer is to fill in pores and smooth out imperfections. It helps your foundation glide on easily and stay in place longer, so it is an important step and one that should not be skipped. Choose a hydrating primer and apply it to your entire face, including eyelids. 2. Foundation – Our foundation in midlife should be thinner rather than thicker. The thicker it goes on, the more it will crease in the lines we have acquired. A powder foundation may have worked well in the past, but now it tends to settle in our lines, too. Use a creamy foundation with SPF coverage and apply it with a buffer brush and not your fingers. 3. Concealer – A heavy concealer will highlight lines and creases. Use a creamy or liquid formula. Place it on top of your foundation, and not under it like we were taught back in middle school. 4. Eyebrows – Since brows tend to become sparse as we age, be sure to keep them well shaped. The object is to create a fuller looking brow. Whether you use a pencil, gel, powder, or combination – the key is blend well. 5. Eyeliner – It is time to get rid of your thick, black eyeliner. As we get older, the color of our liner should be close to the color of our brows. You’ll want a thin line above your top lash, but lining your bottom lash tends to make your eye look smaller. 6. Blush – Choose a natural looking shade. Don’t color the apples of your cheeks, but rather just above. This will help give your face a lift. 7. Eyeshadow – Using small circular motions will help you apply the shadow evenly. Use a light color on the lower lid, with a medium just above the crease in the lid, and blend a darker shade just above the crease to the edge. For goodness sake, throw away the shimmery shadows! A frosted eye will only exaggerate fine lines. Go for a matte eyeshadow instead. 8. Mascara – Apply mascara to the roots of your lashes. Move the wand in an up and out motion. Avoid the inner lashes closest to the nose. A quick touch of the wand on your bottom lashes is all you need. 9. Lip color – Lips tend to lose their bright color, shape and moisture as we age. Bring it back by using tones just slightly darker than your natural lip color. Using a creamy liner will reduce feathering. Choose a semi-matte lip color in the same shade as the liner. Add a shear gloss for shine to the center of your lips. As we mature, so does our face, but that doesn’t mean we can’t adapt to the changes. Be the first to know when new articles and blogs are added. Sign up to receive emails from Cool Bean Living. 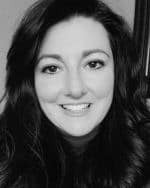 MaryJo is a wife and mother of three, residing in Western New York. She created her first website in 1996, and has operated several since then. She currently runs Cool Bean Living, a place for any midlife woman to feel at home. website. It’s simple, yet effective. A lot of times it’s tough to get that “perfect balance” between usability and visual appeal. Copyrights © 2019 Cool Bean Living. All Rights Reserved.